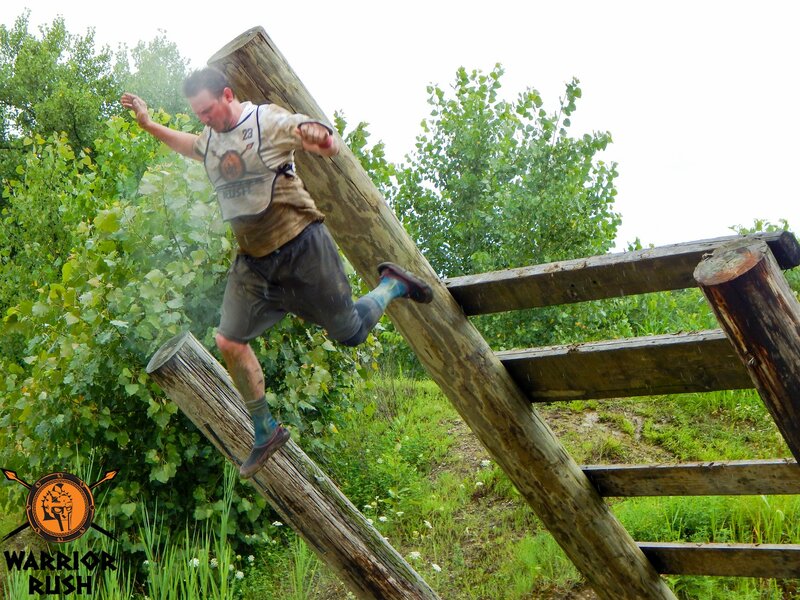 Jumping into the water during the 5k Warrior Rush. Parking was easy as always allowing athletes to park very close to the festival area with plenty of space due to the large field that the venue uses as a parking area. 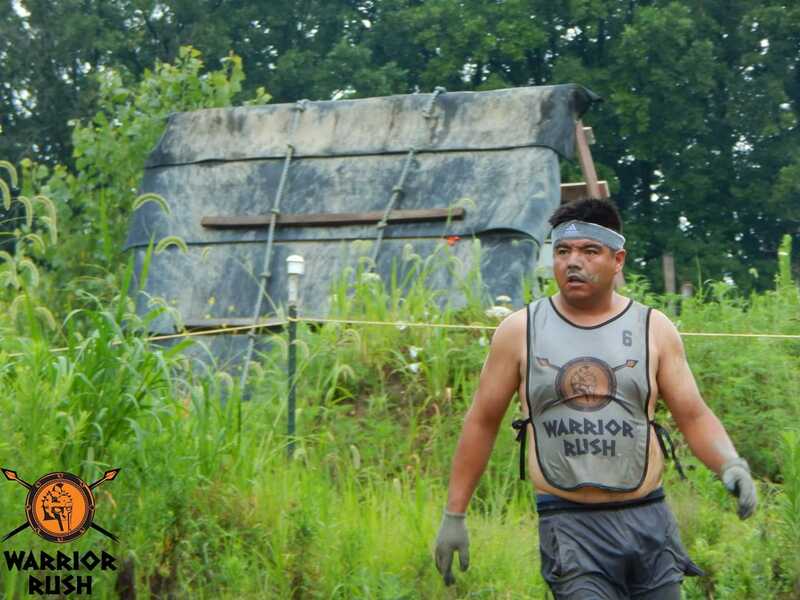 Warrior Rush is a 5k Greek-inspired Obstacle Course Race (OCR). The race had several divisions including an elite wave, an open wave, a 6-hour race and a 24-hour race. This meant that regardless of your ability level or interest, there was something for you. The terrain at Dirt Runner is notoriously awful involving running in technical single track and through narrow ravines. However, because Warrior Rush is a 5k (actually I measured it at 3.7 miles) course, this event didn’t use the backside of their normal 5(ish) mile route. So the terrain was actually really nice for racing with only a couple of sections of thick mud and only some sections of mildly technical terrain. 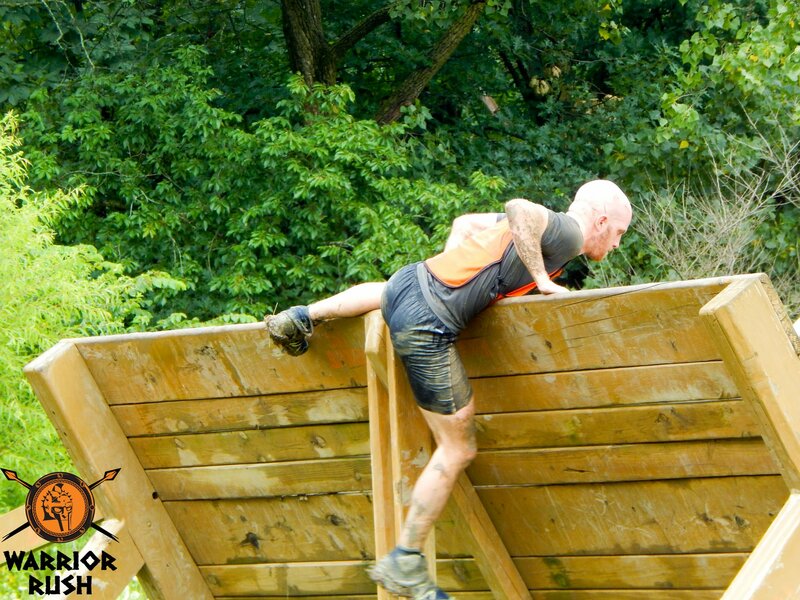 “This is way harder than Tough Mudder and it has a lot more obstacles”. Strength: Log carry, log drag, bucket carry, concrete block carry, tire carry, tire flip with tire carry and double atlas stone carry. Grip Strength: Rope climb, Delta Force Grip (similar to the old BattleFrog Tip of the Spear), horizontal cargo net crossed like monkey bars, monkey bars and a rig that is built off a wire (so the holds bounce/give as you grab them). Balance: They are also one of the few companies that test balance with a 3 part rolling balance log, an island hopper obstacle and an elevated balance beam over water. 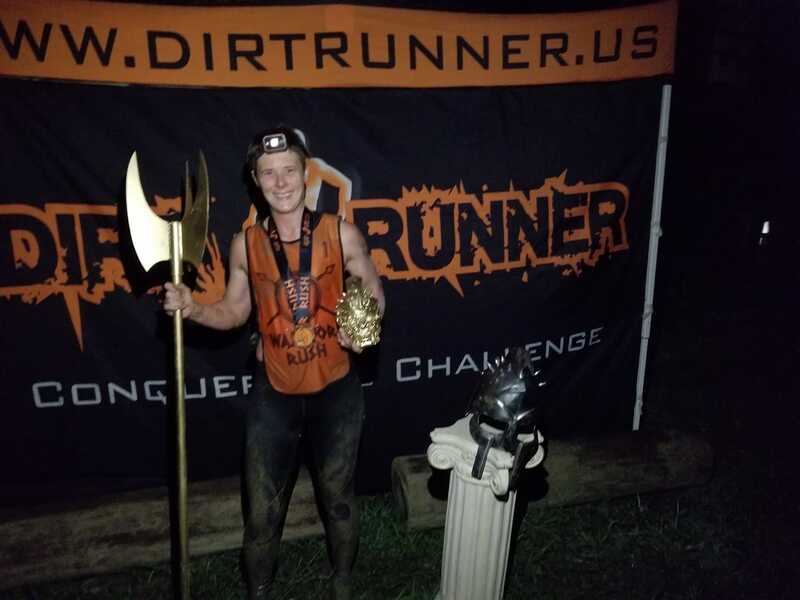 Grit: Dirt Runner is home to the two longest low crawl tunnels I have ever seen, luckily for me, Warrior Rush only had one open for this course. General Obstacle Proficiency: A series of inverted walls, giant’s ladders, Olympus (a huge slip wall), cargo nets and over/under obstacles were thrown into the mix to tire you out. Plus they added in some fear-based obstacles (claustrophobia in the tunnels plus acrophobia via the large cargo net and jump into water). The Ares Spear Throw was also unique. A failed spear throw required 25 burpees for elite or 6 hr racers (10 for 24 hours). However, if you thought it was a fluke you could do double or nothing by throwing another spear. A successful second throw meant zero burpees but a miss would result in 50 burpees (20 for 24 hours). 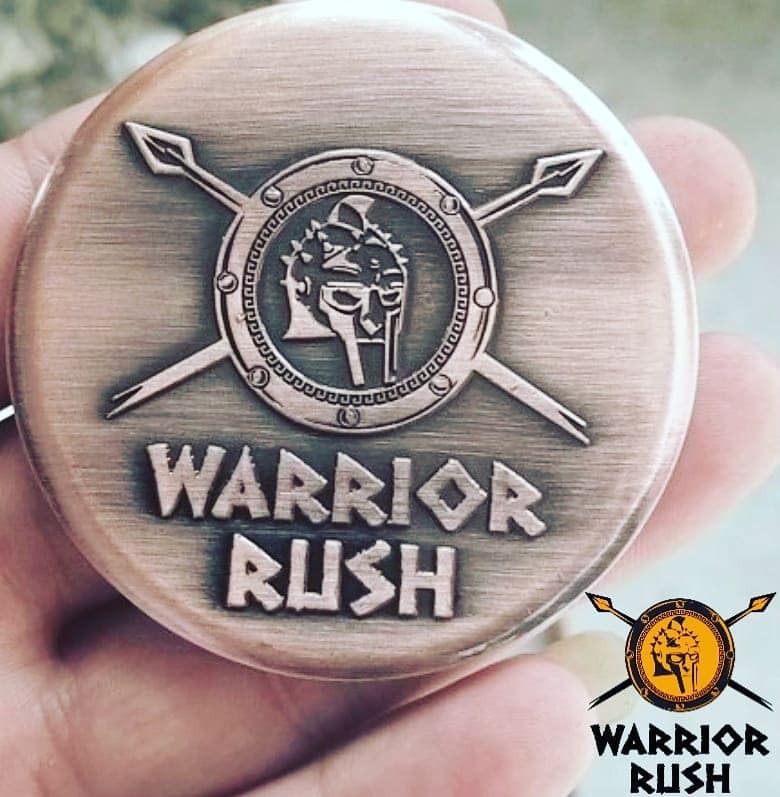 Warrior Rush absolutely kills it on swag for participants and overall winners. For participation, each athlete received a finisher’s medal (shield, crossed spears and helmet design). Additionally, each athlete had a cloth racing bib instead of a paper one (which always get ripped off me) with silver identifying elites, white for open wavers and orange for multi-lappers. For the multi-lappers, each athlete received a coin (which is nicer than some race medals I own), for each lap. If you managed to walk away as the overall winner, more trophies awaited you. 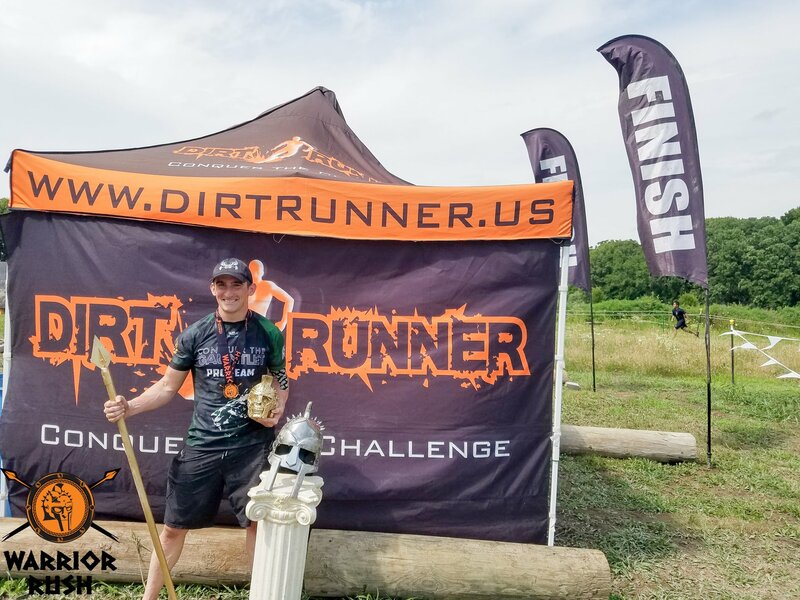 The overall winner of the elite got a lightning bolt trophy, the 6 hour received the Ares Spear and the 24 hour received Poseidon’s Spear. Plus if you won your gender in Masters or in any of these categories you were also rewarded with a concrete skull. Easily one of the best trophies I have seen in all of OCR. Sam Oleskey, the female champion and overall winner from the 24 hr division. The festival area had music, bananas, bacon, water, and beer for finishers. There was also music to keep pit crews and spectators entertained. 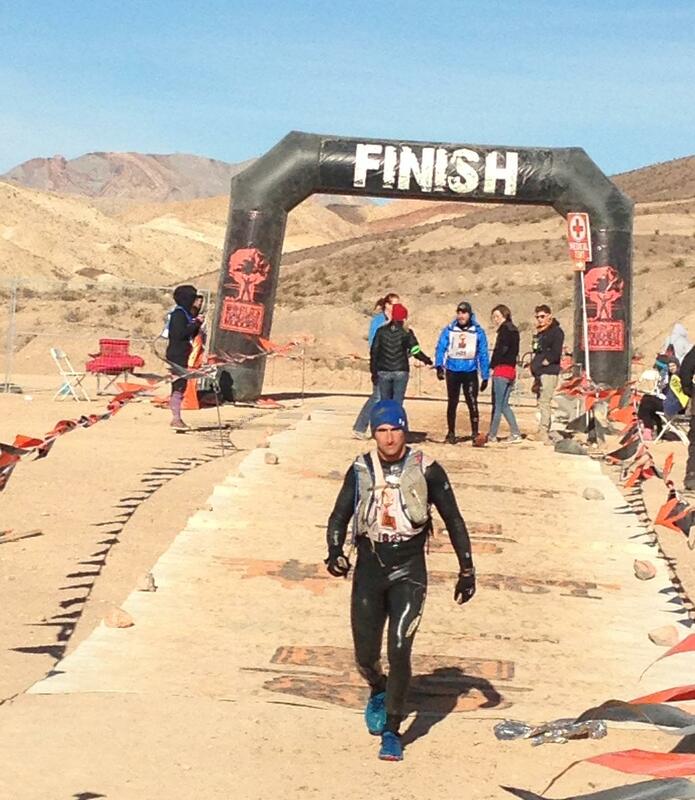 The best part of the festival was the number of obstacles that were in sight of the finish line. Around 20 of the forty obstacles could be seen in the festival and if you felt like going to for a short walk another ten could be seen from the parking area. 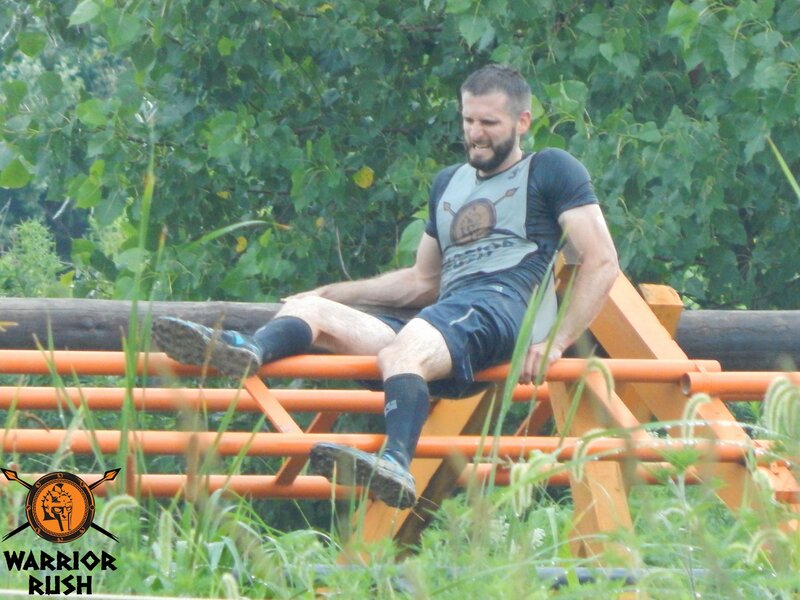 The race was great and really tested you on several levels whether you were going for a single lap or one of the Ultra-OCR variants (6 or 24 hour). I saw two improvements. The first, I identified was the lack of written rules available before the event. While it ended up not being an issue for this race, I could easily see a lack of written rules causing problems if two athletes were close and one had a questionable obstacle completion. The second was the rig was very early in the race and could have used more lanes to avoid congestion for some of the slower runners. Overall, it was great to show up to the Dirt Runner venue in Marseilles, IL one last time. 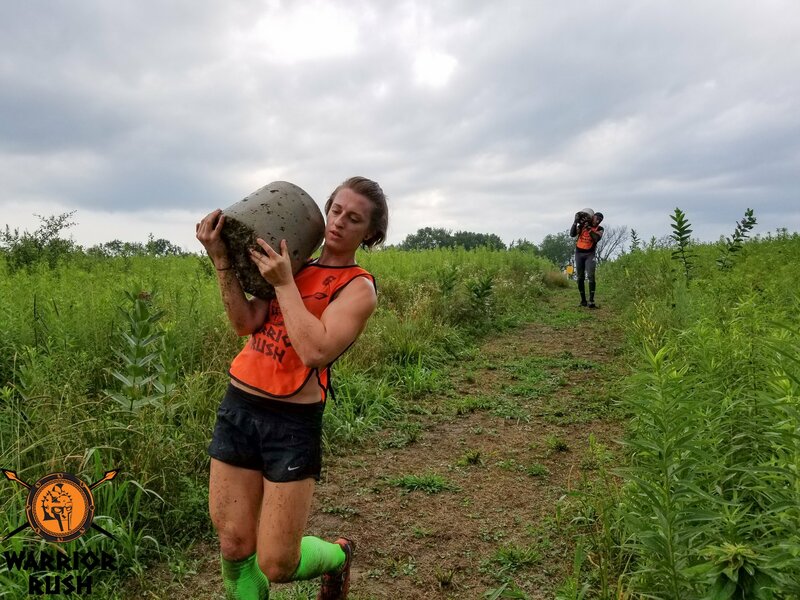 Later this year and next year, their operation is going mobile with their next event being DRX Games, an OCR/Strongman hybrid (review and past event details here) type event with individual events determining the overall winner. (DRX Games at Black Diamond Obstacle Facility in Ohio on August 26th and another DRX Games scheduled for Wisconsin on Sep 29th). Their next normal OCR is Warrior Rush Winter Soldier scheduled for December 15th near Chicago. Author after the 6 hour race. Have you done an Dirt Runner?